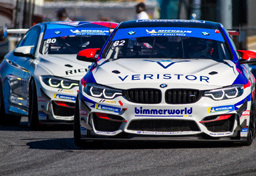 Riding a high into Canada after at win at the previous round, the BimmerWorld BMW team proved a point at Mosport but look to Road Atlanta for their next shot at victory. 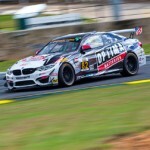 “As soon as the lights went out and I rocketed into second to start pressing for the lead, I was completely convinced that we would win,” said James Clay, owner and driver of the #36 BimmerWorld BMW E90. Clay, a winner just two weeks ago at the Road America round of the SCCA SPEED World Challenge Touring Car championship, endured the frustrations that can come when a top finishing position is at hand. Clay wasn’t the only BimmerWorld driver to agonize over a lost opportunity. Teammate Seth Thomas was poised to deliver a top-3 finish when an unsuccessful pass for second place relegated the #38 BMW E90 back to 12th place. 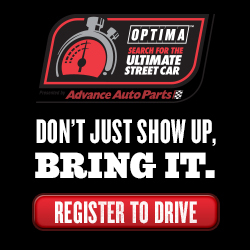 Watch BimmerWorld battle to the front in Mosport at 1 p.m. ET this Wednesday, August 27th on SPEED. 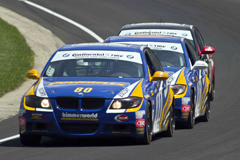 BimmerWorldRacing.com offers exclusive driver blogs, photo galleries, and in-car videos for a complete media experience from the leading BMW Touring Car team in North America.